San Diego, CA — Renova™ Therapeutics, a biotechnology company developing gene and peptide-based treatments for cardiovascular and metabolic diseases, today announced that the company’s co-founder Dr. H. Kirk Hammond is the recipient of the 2017 William S. Middleton Award, the highest biomedical laboratory research award in the U.S. Department of Veterans Affairs (VA). The Middleton Award is given annually to recognize outstanding achievements in biomedical research. 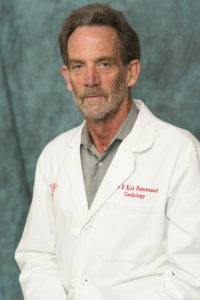 Dr. Hammond, a Professor of Medicine at UC San Diego and a cardiologist with the VA San Diego Healthcare System, received the award for his contributions to the understanding of mechanisms of cardiovascular disease and novel gene transfer treatments for angina and heart failure. Dr. Hammond is also investigating gene transfer for type 2 diabetes. Dr. Hammond has authored more than 100 peer-reviewed publications related to cardiovascular disease and is an inventor on nine patents. He devised and led the Phase 2 clinical trial of AC6 gene transfer for the treatment of patients with heart failure and reduced ejection fraction. Results of the trial indicated that, through a one-time administration, AC6 gene transfer safely increased heart function beyond optimal heart failure therapy (JAMA Cardiology). This study was funded by the National Institutes of Health (NIH), the Gene Therapy Resource Program and Renova Therapeutics, via an NIH public-private partnership. AC6 gene transfer is being developed by Renova Therapeutics as RT-100, its lead gene therapy candidate advancing to a Phase 3 clinical trial known as FLOURISH.